Have a blast at your next community fundraiser! 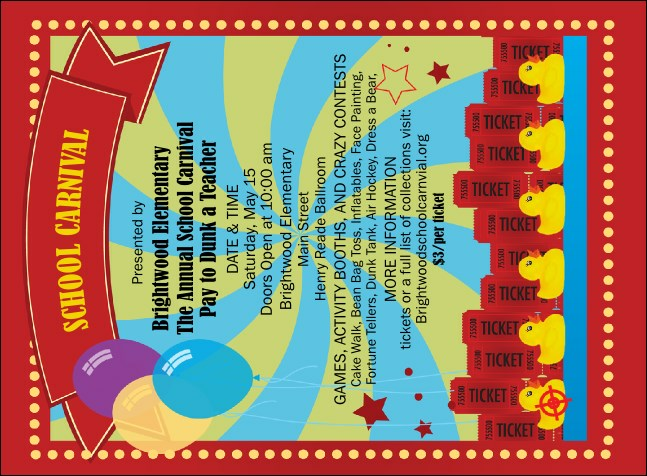 With games and special events, you'll have a wonderful time when you choose the School Carnival Invitation. Gather your community together for a great time with a bold and colorful invitation template that features a festive background for your custom information. Save time and enjoy your event with fast professional printing from TicketRiver.com.au.